The Dortmund Exhibition Centre will open its doors again for the world’s largest model making and model sport exhibition from 4 to 7 April. Model railway fans can explore here to their heart’s desire and view and, of course, buy the latest products of the manufacturers. A popular attraction for many visitors is the large number of international model railway layouts showcased by clubs and associations. More than 30 layouts from five European countries can be admired at this year’s INTERMODELLBAU, among them many premieres in Germany. Interesting and diverse lectures with a focus on the Digital Control topic will be offered by the German Model Railway Association (Modellbahnverband in Deutschland e.V. (MOBA)). Visitors can admire layouts, models and products in the model railway segment in two halls from 4 to 7 April – almost all large-volume manufacturers, many small-volume manufacturers, publishing companies and retailers will be represented at INTERMODELLBAU. 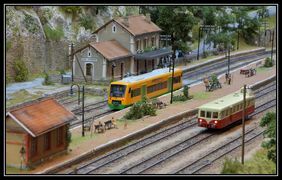 The German Model Railway Association (Modellbahnverband in Deutschland e.V. MOBA) will be the supporting organisation in the railway segment for the 24th time this year. Besides the large MOBA stand (Hall 4), more than 30 model railway layouts covering all common gauges ranging from Z (1:220) to IIm (1:22.5) will be shown at the world’s largest exhibition for model making and model sport. The international layout manufacturers come from Great Britain, France, Belgium and The Netherlands to INTERMODELLBAU in Dortmund in order to present their layouts in Germany, in most cases for the first time. 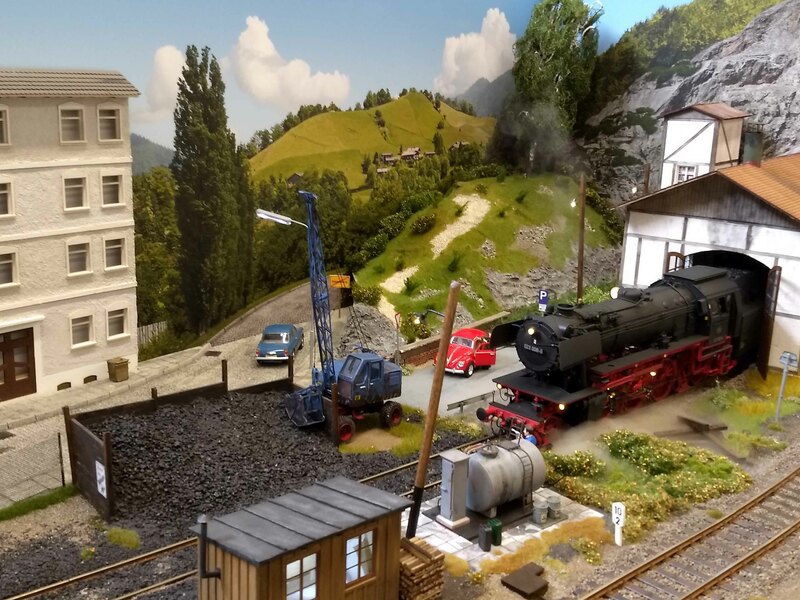 This year’s highlights include the Saint-Tourbière model railway layout by Dutchman Wim Wijnhoud which celebrates its premiere in Germany at INTERMODELLBAU. It is set in the Auvergne-Rhône-Alpes region in the south-east of France in the mid-1980’s and uniquely reflects the atmosphere of a French single-track diesel train in the Epoch IV era and will therefore take the visitors back in time. The small railway station of the picturesque, romantic Saint Tourbière village is situated in the valley. It includes both a passenger station and a small goods station with locomotive shed and turntable. Various tunnels and viaducts can be seen because the landscape is so hilly. 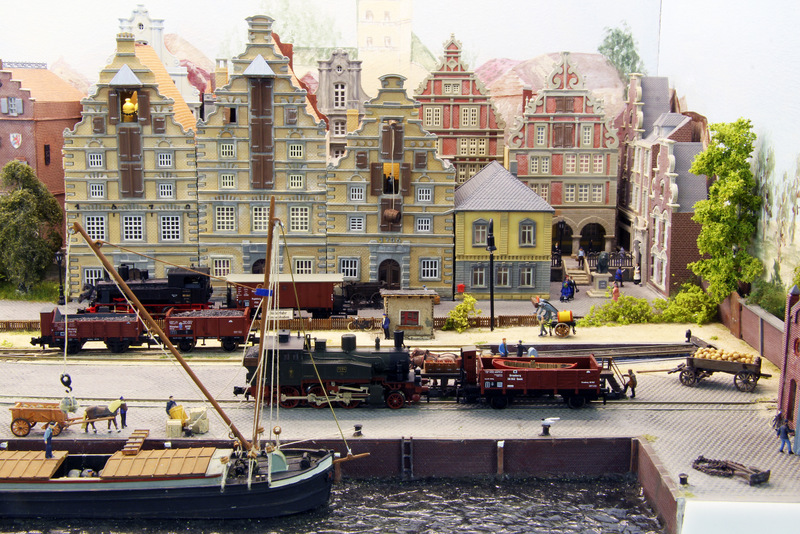 The Macclesfield Model Railway Group led by Shaun Horrocks will travel from England to Dortmund. The Purgatory Peak layout is a Gauge 0, 1:48 scale layout and is set in the San Juan Mountains of Colorado. 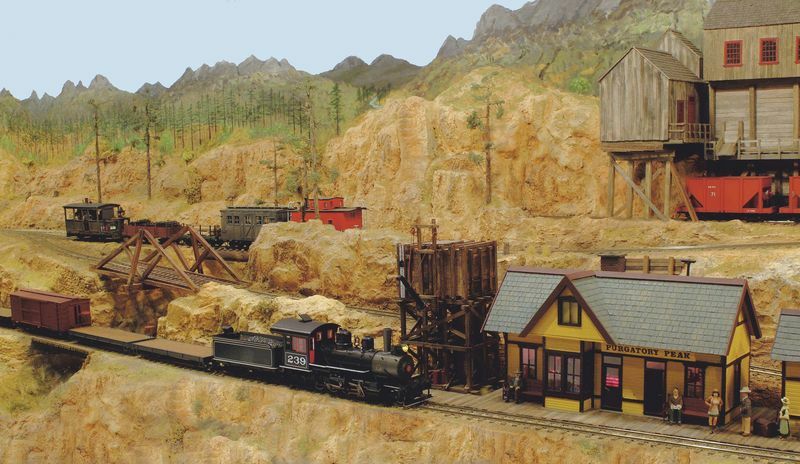 Although the majority of the trains show the rolling stock that was actually used by the Denver and Rio Grande railways at the time, fictitious trains of timber and mining companies also use the track. The visitor will see a minimum of three trains in motion whilst another 15 trains wait behind the scenes for their use. The viewer will therefore see continuously changing vehicles. Model railway layouts shown by German clubs and associations will also celebrate their premiere in Germany at INTERMODELLBAU this year. 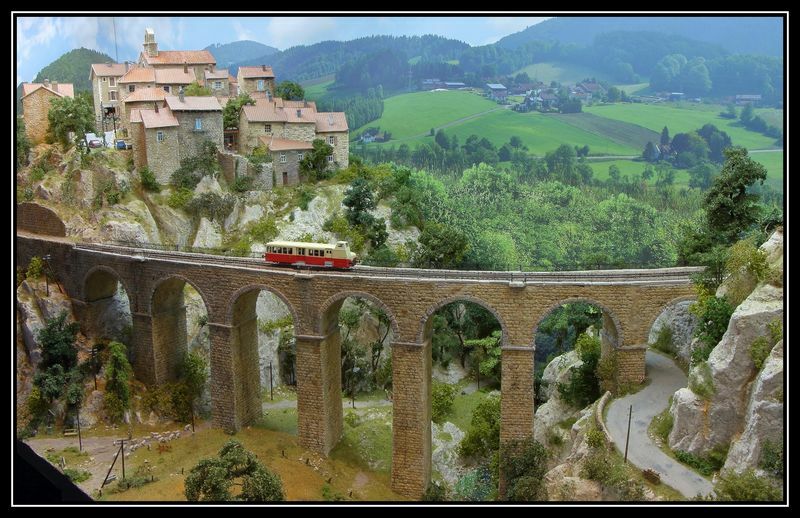 The railway and model railway fans from Halle city centre will present their latest layout which is called Krausenstein and shows themes from the Ore Mountains in Saxony. The layout was modelled after the Wilkau-Hasslau station on the main railway line between Zwickau and Aue. The layout is set in the 1920-1935 period. It consists of a single-track main line with a branching-off narrow-gauge line used by steam engines and standard locomotives of Deutsche Reichsbahn Gesellschaft (DRG). A special feature is the fully functional three-rail track that can be used by both narrow-gauge and standard-gauge trains. A total of 500 trees were “planted” and the reproduced buildings were partly constructed from paper, cardboard and converted plastic construction kits. The railway modeller Gerd Mombrei and his colleagues will come with a new Gauge 1 layout from Manching to Dortmund. The layout depicts a secondary railway station with locomotive shed and coaling facility. A loading terminal adjoins the station. 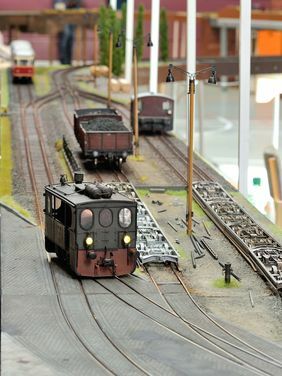 The Gauge N layout by Gerhard Wolf from Rodgau is a ‘must-see’ exhibit for fans of goods trains. It is 1.20m in length and 50cm in depth and shows the hustle and bustle at a small seaport in North Germany. 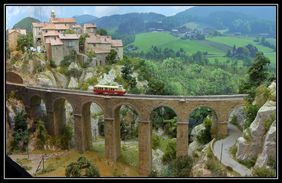 The layout by Wolf-Dietrich Groote from Kronberg and Volker Gerisch from Wiesbaden is a spacious, 1:22 scale layout modelled after the Plettenberg and Hohenlimburg light railways in the Sauerland Region. 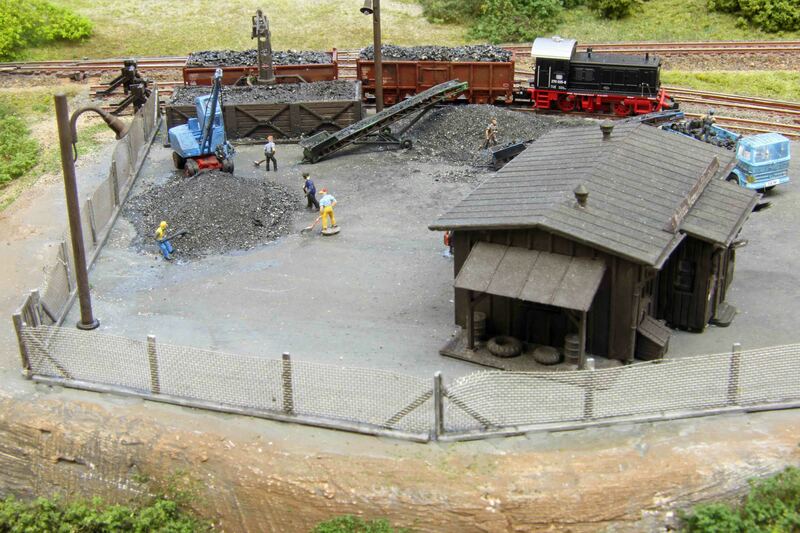 Great importance was placed on a largely true-to-scale track construction in the design of the layout and it therefore significantly differs from the ‘miniature railway’ standard that is otherwise commonly used for this size. All vehicles used are either unique DIY pieces or scale models from small volume manufacturers. The popular MOBA seminars are a must again at this year’s INTERMODELLBAU. A total of 45 seminars will take place in the event area of Hall 4. The focus is on the Digital Control topic this year. Märklin, traditional exhibitor at INTERMODELLBAU, will also show its new products this year. The visitors can, for example, admire an ICE 4 model – (available for purchase in the second half of 2020). It has a 1:95 scale, various sound functions and interior LED lights as a standard feature. 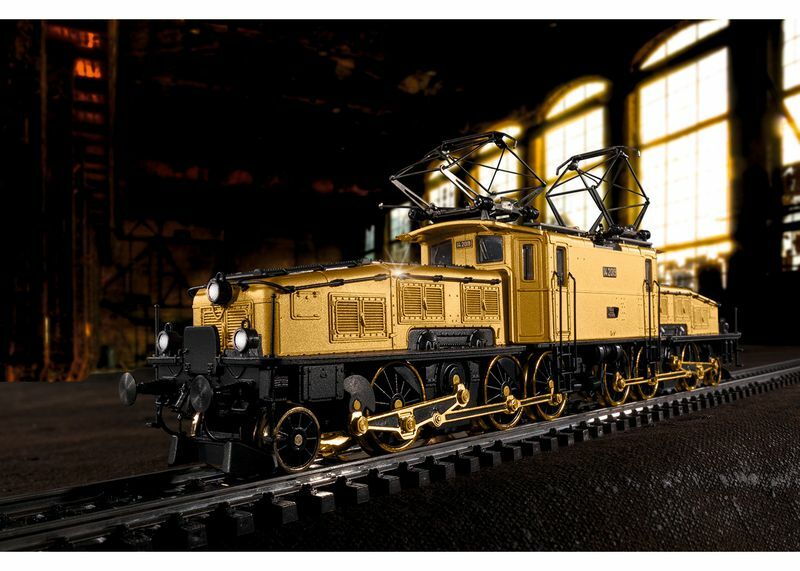 A very shiny model is the authentic replica of the Crocodile electric freight locomotive of Swiss Rail (Schweizerische Bundesbahnen - SBB) because the locomotive nose, wheels, rods, some add-on details and the locomotive centre are coated with 24-carat fine gold. 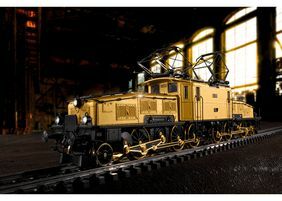 Right on time for the 100th anniversary of the legendary Ce 6/8 II Crocodile electric locomotive series, the model will be launched as a limited edition of 3,500 locomotives worldwide.